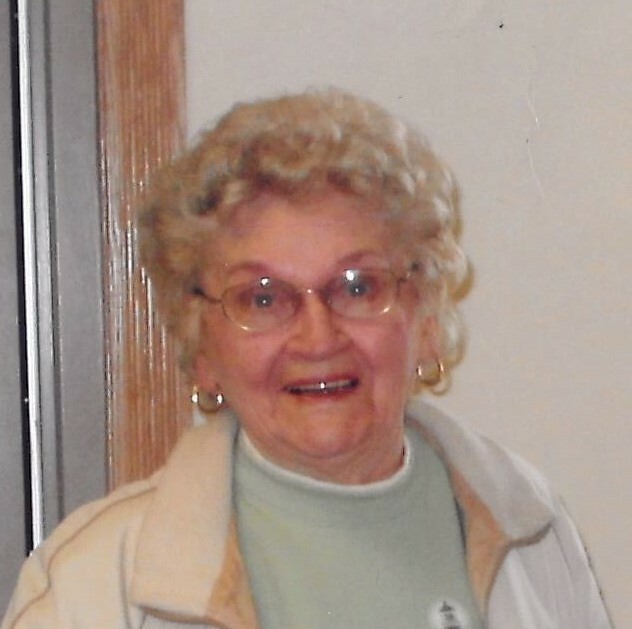 Lorraine Zinda age 95, entered into eternal rest on January 6, 2018 while residing at the Portage Country Health Care Center. A Mass of Christian Burial for Lorraine will be held at 10:30 am on Friday January 26, 2018 at Holy Spirit Parish. Rev. Thomas Lindner will officiate. Friends and relatives will gather to share memories from 9:30 am until the time of services Friday at the church. Visitation will also be held from 4:00 - 6:00 Thursday at the Shuda Funeral Chapel - 3200 Stanley Street. A Rosary will be prayed for Lorraine at 5:00 pm Thursday at Shuda's, Lorraine was a long-time member of the parish Rosary Society Rose #15. Lorraine was born March 21, 1922 in Stevens Point, the daughter of August and Frances (Konopacki) Borski. She attended local schools, and graduated from Emerson High School in 1940. Lorraine married Frederick Zinda on May 21, 1942, and the couple lived in Stevens Point throughout their 55 years of married life. Lorraine enjoyed flowers and took pride in her garden. Her family wishes to thank the Portage County Home staff especially Debbie and Sunshine. Lorraine is survived by her son, Fred (Carol) Zinda, North Redington Beach, FL, daughter, Cindy (Larry) Misiewicz, Plover. Four grandchildren, Jodi (Steve) Whitcomb, Seminole, FL; Tori (Brent) Thrower, Largo, FL; Amber (Doug) Schwantes, Appleton; Lucas Kuzynski, Stevens Point. She was loved and known as “Busha” by her six surviving great-grandchildren: Haley and Shaun Whitcomb, Florida; Grant, Brooke and Grace Thrower, Florida; Leah Faye Schwantes, Appleton. Lorraine is also survived by two brothers, Jerome and Jim Borski of Stevens Point. A full Life and and laughter was shared with several nieces, nephews and friends. Those memories will be cherished by the loved ones left behind. Lorraine was preceded in death by her parents, her husband Frederick in 1997, two sisters, three brothers and one great-granddaughter.